As every business owner knows, it is so important to be able to improve your sales pipeline. 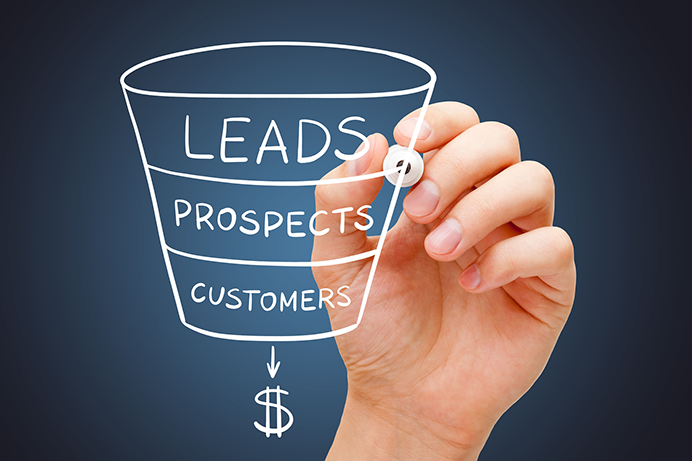 Your goal should always be to help turn people into leads and leads into paying customers. However, while improving your sales pipeline is important, it is isn’t always as easy as we would want it to be. The good news is, there are now automated (yes, automated) CRM programs that can help improve this sales pipeline and help improve your business’s income and grow your client base. Here are four ways you can better your sales pipeline with a CRM like the popular Infusionsoft program. It Can Help Determine Qualified Leads- Before you can make a sale, you need to have qualified leads to start pursuing. But how exactly do you determine who a qualified lead is? Marketing automation platforms, such as Infusionsoft use a process known as lead scoring.This automated service lets you see who your most prepared leads are by organizing them based on the actions they’ve taken towards buying. They give you a little flame icon next to the leads to show you they’re hot leads, so you can prioritize your time and focus on these qualified leads first. A CRM Can Also Help Communicate With These Leads-Research shows that leads are nine times as likely to convert to paying customers if you follow up with them within five minutes of them first expressing interest. This is a very small window of opportunity. However, with a CRM like Infusionsoft, you can automate the process and make sure that they receive a personalized message as soon as they reach out—drastically improving your chances of turning that qualified lead into a paying customer. A CRM Can Help With Cold Lead Notifications-This is an often overlooked part of the sales funnel. However, the truth of the matter is that cold leads can sometimes turn into hot leads with a little attention. While chances are you don’t have the time to go through and contact all of your cold leads, a CRM like Infusionsoft can automatically, go through and follow up with leads that you haven’t heard from in 30 days. It doesn’t take you any more time and it can help start warming up that cold lead into something warmer. A CRM Can Act as a Sales Manager-For companies who have the means to hire a sales manager, this individual will have a number of different responsibilities to help better the sales process. This includes keeping notes on and keeping track of details in each client, or potential client’s record. With a CRM you can set up automations that keep track of important notes and information in each person’s file. After all, in order for the sales pipeline to work, you need to have as much data as possible on your current and potential clients, and this is a great way to get it. If you are interested in seeing first hand what a CRM like Infusionsoft can do for your company, contact Life In Motion today to learn more.